Over 30 years’ experience in the storm door industry and a no-nonsense approach to getting the job done right has made Home, Door and Window Products the number one name in the security storm door industry. Our pleasant staff will educate you on the latest technology in storm doors and storm door options so you can choose the one that is right for your home. Affordable prices and extensive design options from brands such as Trapp storm doors is just one of the reasons you can be confident that Home and Door is where you should buy your next storm door. We have a solid reputation for accuracy and timely delivery! Franklin is a village located in central Oakland County, Michigan but you will be surprised by the rural nature. Committed to providing the 3,150 residents with unique shops and a variety of community associations, Franklin is known as “The town that time forgot.” Not forgotten in Franklin are the services and quality storm door products of Home and Door. We pride ourselves on the vast selection of security storm door options at affordable prices. As well, we work with our customers to create a one-of-a-kind, custom storm door to meet your specific need. 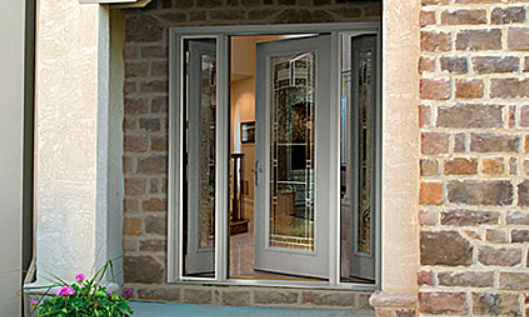 We have the most modern and contemporary styles of storm doors available on the market today. We know that finding the right security storm door is essential, that’s why at Home and Door, we take the time to find out exactly what you are looking for, then our friendly customer service team will help you pick out the storm door that’s right for you. Our experienced staff will show you how easy and affordable replacing your Franklin security storm door or installing new Fox storm doors on your home or business is. Call Home, Door and Window Products today at (248) 399-9900 for more information or to schedule your storm door installation estimate.